As a thank you to all our of our active and retired military personnel, we’d like to extend an offer of $500 off the Upfront Price on vehicles at Land Rover Wichita. 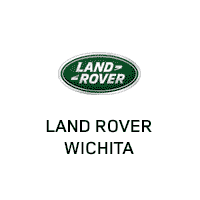 Please see one of our associates at Land Rover Wichita for more information, or contact us at 316-779-2839 to receive more information on your veterans discount. Our Specialist Sales Team will support you in all areas of the sales process, from choosing the right vehicle to aftersales support. Through our global network, we can also help ensure your Land Rover follows you on your postings across the world.